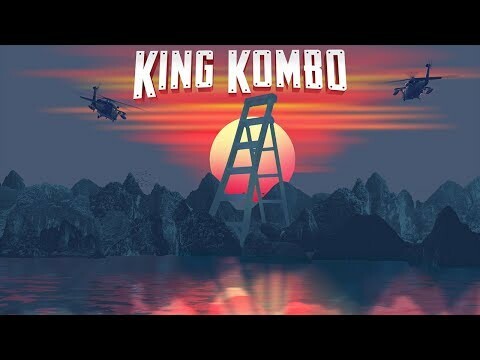 King Kombo Technical is the bad A—the pinnacle of the King Kombo family. King Kombo Technical offers the speed, strength, and versatility of its brothers with the addition of the most aggressive ladder foot Little Giant makes: the Sure-Set™ combination spike (for soft ground) and tread foot. The Sure-Set foot is the only ladder foot that locks securely when you want it to stay in place and swivels when you need it driven in the earth. Utility, cable and telecom service professionals, you asked for it, we’ve delivered the King Kombo Technical. This King Kombo is lighter, faster, stronger, and safer than the pile you’ve had willed upon you for umpteen years. Get ready! They are available now! You can buy the King Kombo Professional 6-10 at any Lowe's store or on Lowes.com. The Industrial 6-10 is available online. You can find it on Google or at 1800Ladders.com. Wow @toolpig just did a demo on IG, although I don't have one looks so good. Those in the construction trade will love. A lot of thought has gone into your ladder. The launch of these 3-in-1 all access ladders is February. They will be available in stores and online for the public in March! WHEN are these ladders gonna be released for sale??? Replace heavy traditional extension, step, and combination ladders with one lightweight, yet strong 3-in-1 ladder. Non-conductive, high-strength, lightweight fiberglass is ideal for professional applications. The straight side allows operators to access tight work spaces between 16″ on-center stud gaps, ceiling trusses and attic access ports. The King Kombo meets or exceeds all OSHA and ANSI standards for combination, extension, and A-frame stepladders. WEIGHT CAPACITY 375 lbs. 375 lbs. 375 lbs. 375 lbs. 375 lbs. 375 lbs. 375 lbs. A-FRAME MIN. HEIGHT 5 ft. 6 ft. 6 ft. 6 ft. 8 ft. 8 ft. 8 ft.
A-FRAME MAX. HEIGHT 5 ft. 6 ft. 6 ft. 6 ft. 8 ft. 8 ft. 8 ft.
A-FRAME MAX. HIGHEST STANDING LEVEL 2 ft. 10 in. 3 ft. 9 in. 3 ft. 9 in. 3 ft. 9 in. 5 ft. 8 in. 5 ft. 8 in. 5 ft. 8 in. A-FRAME MAX REACH 9 ft. 4 in. 10 ft. 3 in. 10 ft. 3 in. 10 ft. 3 in. 12 ft. 2 in. 12 ft. 2 in. 12 ft. 2 in. EXTENSION MIN. HEIGHT 8 ft. 10 ft. 10 ft. 10 ft. 14 ft. 14 ft. 14 ft.
EXTENSION MAX. HEIGHT 8 ft. 10 ft. 10 ft. 10 ft. 14 ft. 14 ft. 14 ft.
EXTENSION MAX. HIGHEST STANDING LEVEL 4 ft. 10 in. 6 ft. 9 in. 6 ft. 9 in. 6 ft. 9 in 10 ft. 7 in. 10 ft. 7 in. 10 ft. 7 in. EXTENSION MAX REACH 11 ft. 4 in. 12 ft. 8 in. 12 ft. 8 in. 12 ft. 8 in. 17 ft. 1 in. 17 ft. 1 in. 17 ft. 1 in. STORAGE HEIGHT 5 ft. 1 in. 6 ft. 1 in. 6 ft. 1 in. 6 ft. 1 in. 8 ft. 1 in. 8 ft. 1 in. 8 ft. 1 in. STORAGE WIDTH AT BASE 2 ft. 0.5 in. 2 ft. 0.5 in. 2 ft. 0.5 in. 2 ft. 0.5 in. 2 ft. 4 in. 2 ft. 4 in. 2 ft. 4 in. STORAGE DEPTH 6.5 in. 6.5 in. 6.5 in. 6.5 in. 6.5 in. 6.5 in. 6.5 in. MAX. FOOTPRINT 3 ft. 8 in. 3 ft. 8 in. 3 ft. 8 in. 5 ft. 3 in. 5 ft. 3 in. 5 ft. 3 in. RUNG SIZE DOUBLE SECTION 6 in. 6 in. 6 in. 6 in. 6 in. 6 in. 6 in. LADDER WEIGHT 19 lbs. 22 lbs. 24 lbs. 23 lbs. 32 lbs. 32 lbs. 32 lbs.